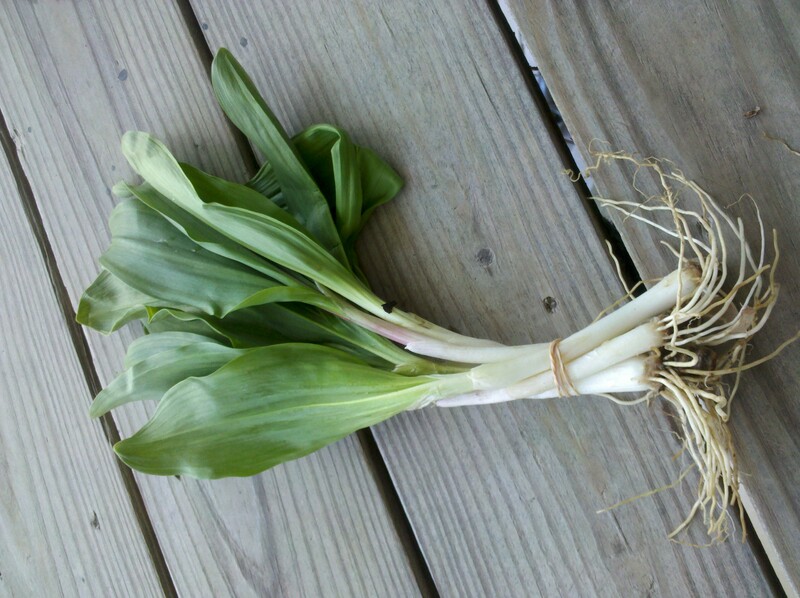 One of spring’s rarest ingredients just because the season is so short. 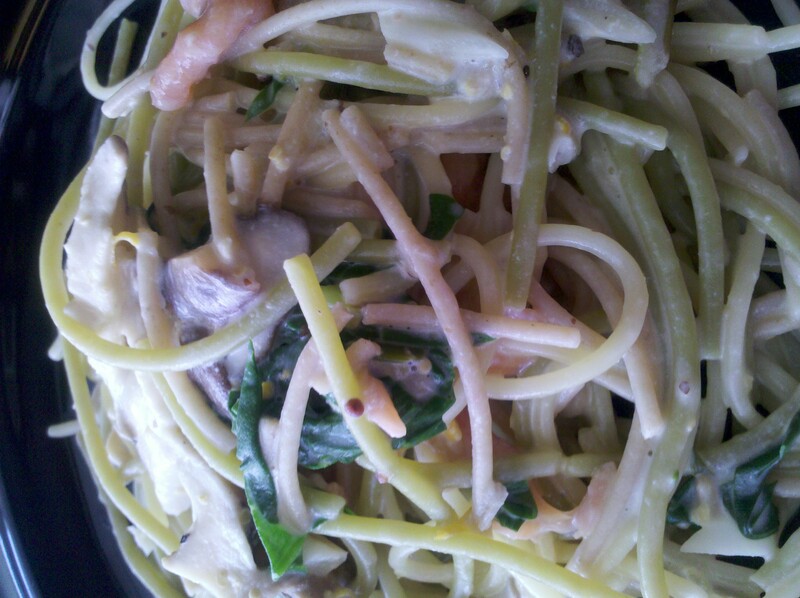 I was delighted when I found some today and decided to make a pasta with it. 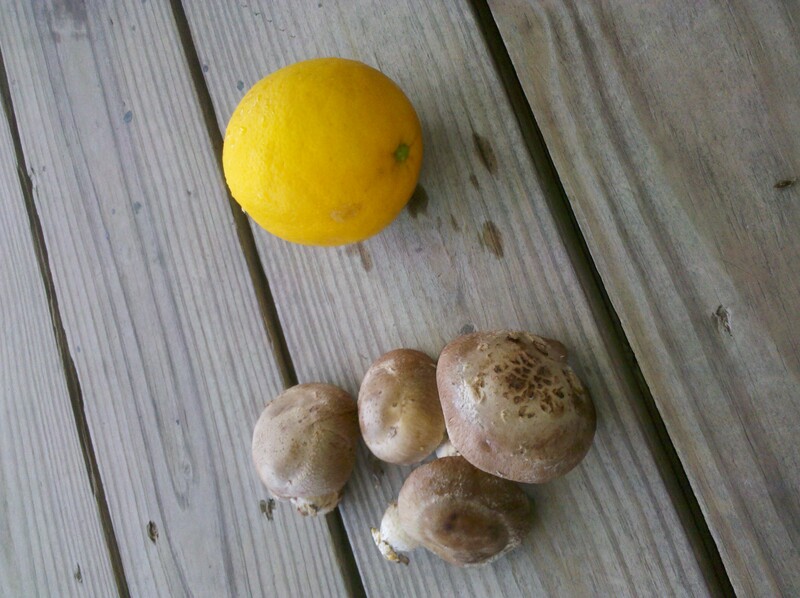 The Meyer lemon is from my sister’s tree! Perfect lunch before an intensive session of spring cleaning! I tore the kale into bite size pieces, pre-heated the oven to 350 degrees, and lay out the leaves on a baking sheet. I sprinkled it with a little olive oil and gave it a light toss. Once the oven was ready, I popped the sheet in and waited about 6 minutes. 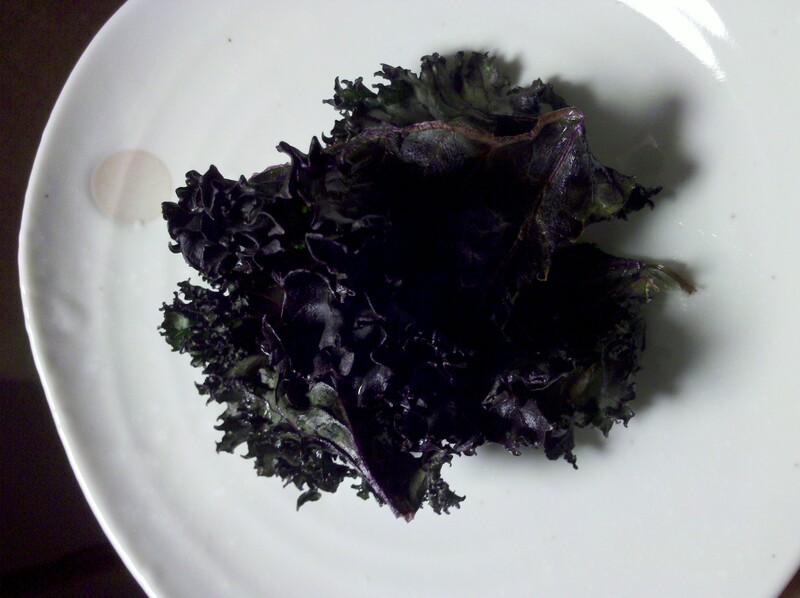 The baked kale turned out to be delicious! The bitterness was replaced with a earthy nuttiness and the crunch was unbelievably satisfying. Pink is my favorite color. It has been for awhile, although I try to hide it from time to time. I used to pretend that my favorite color was red because I didn’t want to come off too girly. But I have to confess that something about pink just makes my heart sing. The energy I feel from pink makes me so giddy that I decided to have the wall in my office painted bubble gum pink. Well, to be honest, it was a mistake on my part because I thought the color read cranberry but it turned out to be pink. 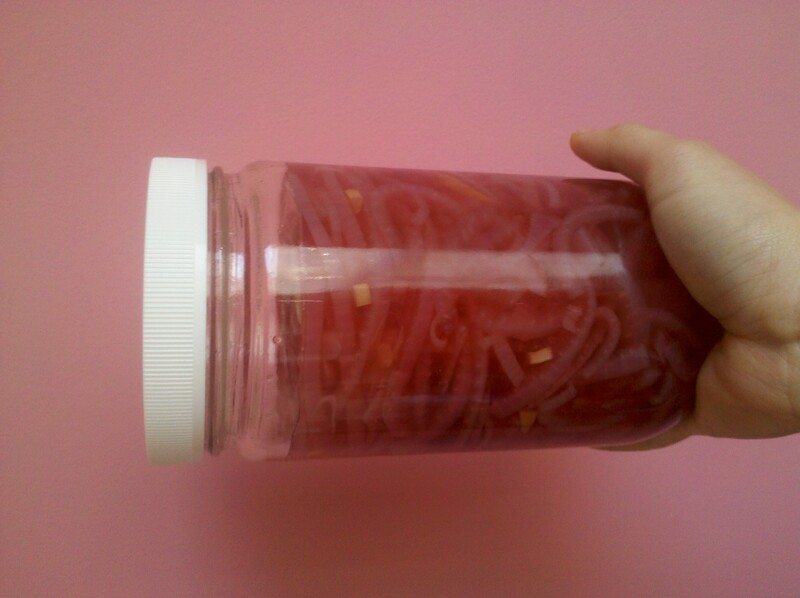 Today, I decided to make some pickled red onions. I love them as garnish in tacos, salads, and sandwiches! I filled a medium saucepan with water and placed it on the stove. As I waited for the water to boil, I sliced up one HUGE red onion and poured 1 cup of apple cider vinegar into a measuring cup. Once the water reached a rowdy boil, I dumped the sliced onions in and blanched it for 1 min. I drained the onions and put them back into the sauce pan, poured the vinegar into the pot, and added cold water until it just covered the onions. I added a teaspoon of salt and gave the mixture a whirl. After returning the vinegar/onion soup to a boil, I let it simmer for 1 min and then transferred everything into a glass jar and let it cool. WARNING: Be prepared to open all windows after this process because the vinegar becomes saturated in the air. 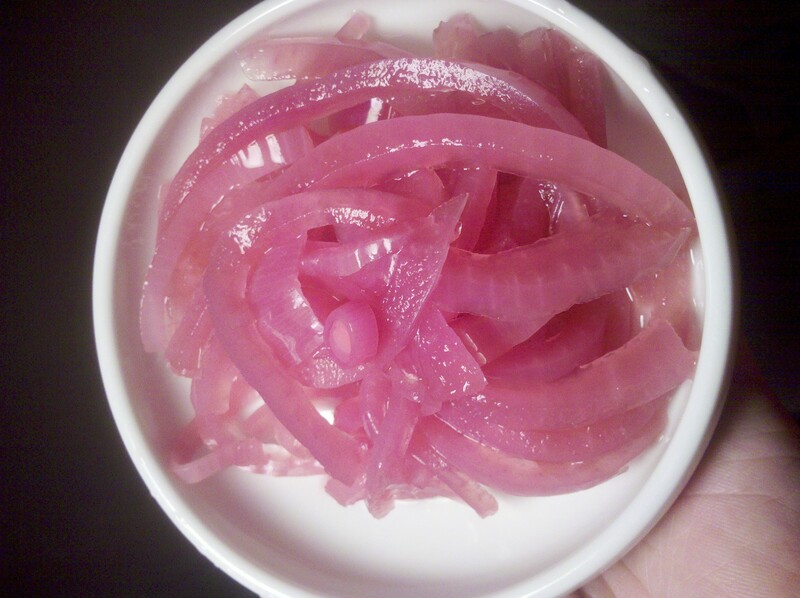 The result: beautifully pink tinted, crisp, and refreshing onions! The pickled onions almost match the color of my office walls! Woah, doesn’t that look cool? 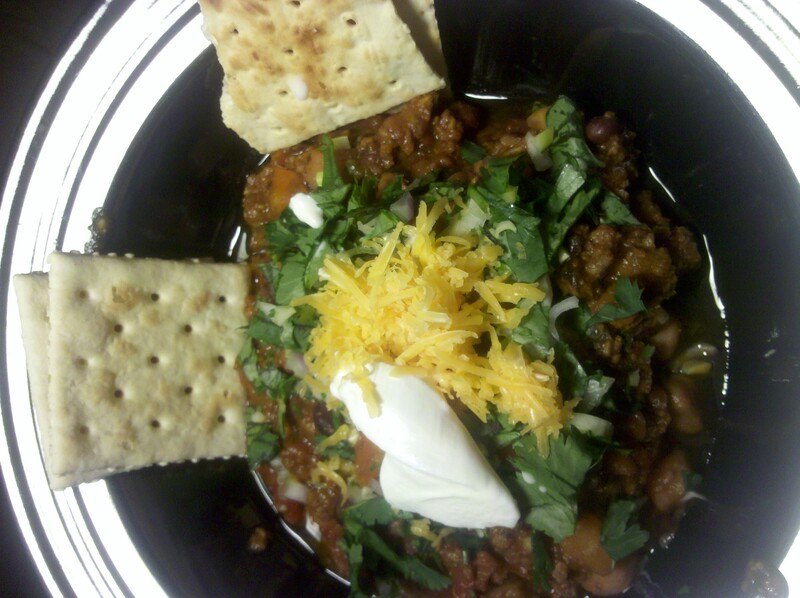 I let the chili slowly cook for 4 hours in my dutch oven. 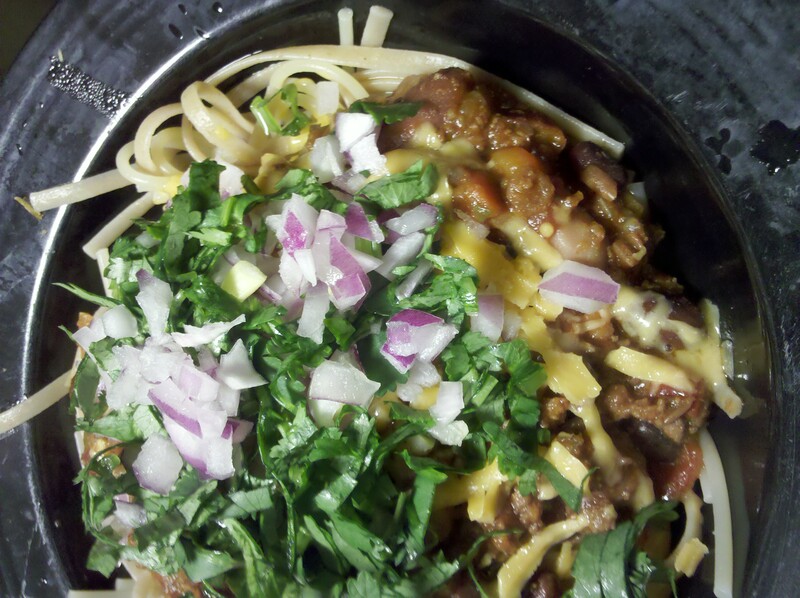 For the last 20 mins, I uncovered the pot and prepared the garnishes: sour cream, red onion, cheddar cheese, and cilantro. I’ve always been curious about the Cincinnati chili but when I saw Guy Ferrari pull up to some chili joint in Ohio that wasn’t Skyline and ate six-way chili (deep fried jalapeno poppers was the 6th component), I decided I had to try an altered version of the five-way ( chili, spaghetti, cheese, onions, and beans). It was really good! I’m not going to question anyone who swears by the Cincinnati style anymore. 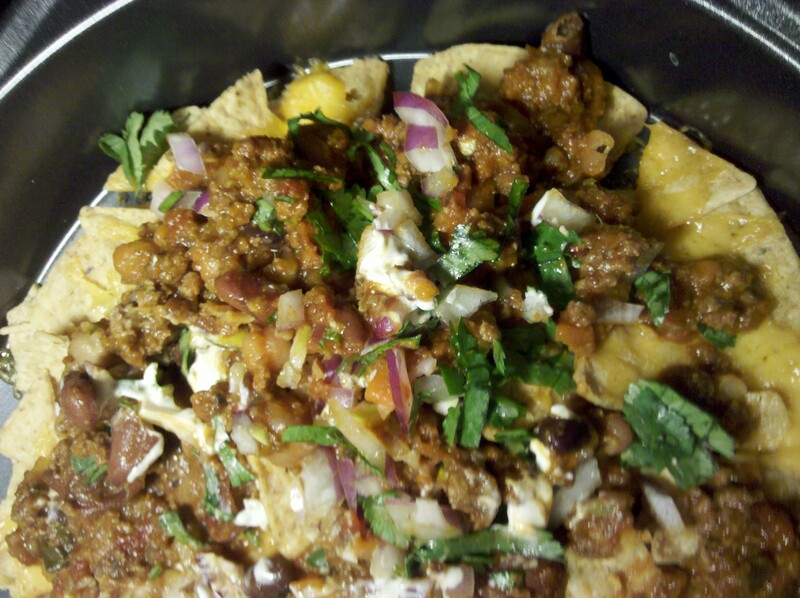 The thick corn tortilla chips really added crunch to these nachos! Now I have one more night’s worth of chili sitting in my fridge. I’m willing to experiment. Please share some “wild” ideas! Goal for this week: Minimize food waste and grocery shopping! I’ve been putting myself to the test. Will I be able to use up all the produce/meat that have been in my fridge and freezer the past two weeks? I want to be out of food for my trip to the farmers’ market this Saturday. So far this week, I’ve made stir fried bok choi and broccoli, tofu, and halibut steaks and spicy shrimp curry. Today I’m making roast chicken and roasting brussel sprouts, carrots, celery, potatoes, and onion along with it. I’m hoping that this will last me until Friday. I’ll make chicken salad and chicken soup out of the meat and bones with what is leftover tonight. My sister shared Jamie Oliver’s very simple recipe with me a few years ago. I absolutely love this version because it calls for a full bulb of garlic. In the mood to make some roast chicken? Check out the full recipe here. I had to improvise by using a blood orange instead of a lemon but I think it is going to turn out well. How do I know? It just smells incredible in my kitchen. I wish you were here now to smell for yourself!